Important notice for all drag racers! Following is a Link to the general information and safety requirements for ET Breakdown. 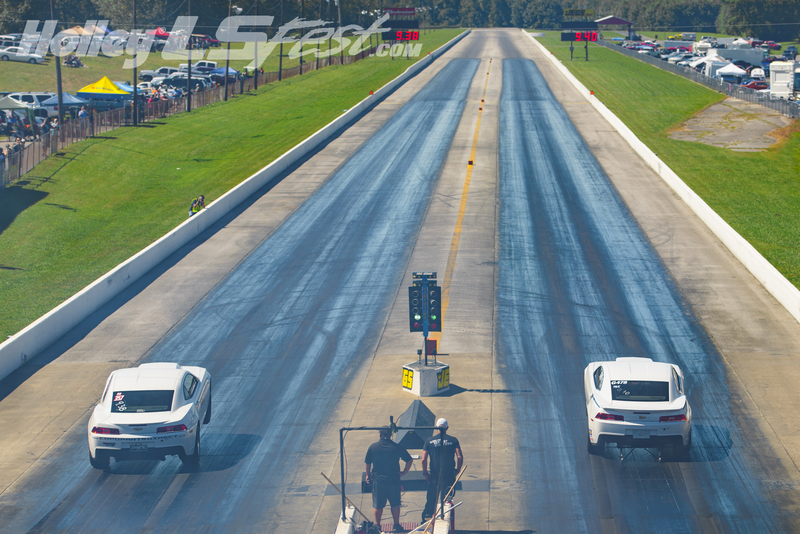 This is where some of the quickest and fastest cars in the country can be found – side-by-side competition on 1320 feet of asphalt. 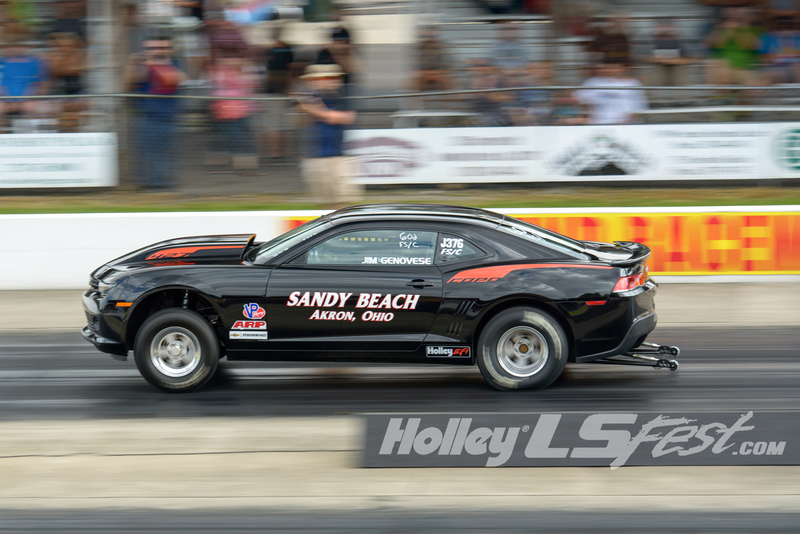 Experience the ground pounding action from the popular drag radial classes all the way to the real street, where we find the fastest LS or current generation LT powered power adder car on a 10.5″ wide slick or DOT 275 tire. 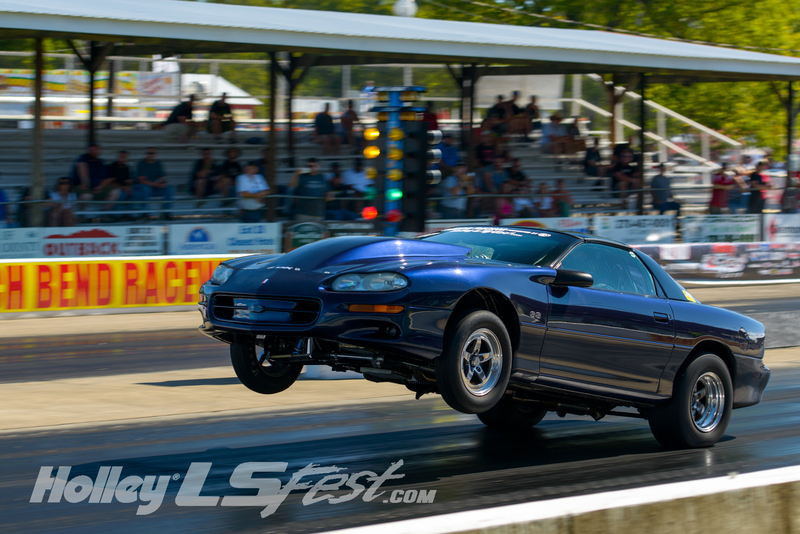 Don’t miss this opportunity to unleash your LS or current generation LT powered beast on one of the Midwest’s most famous tracks. 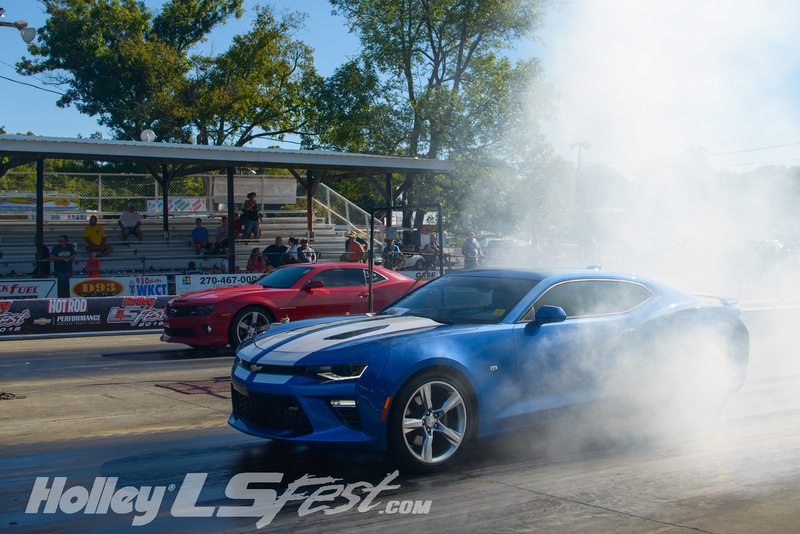 Once again LS Fest is a part of the NMCA Chevrolet Performance Challenge Series for classes that apply. 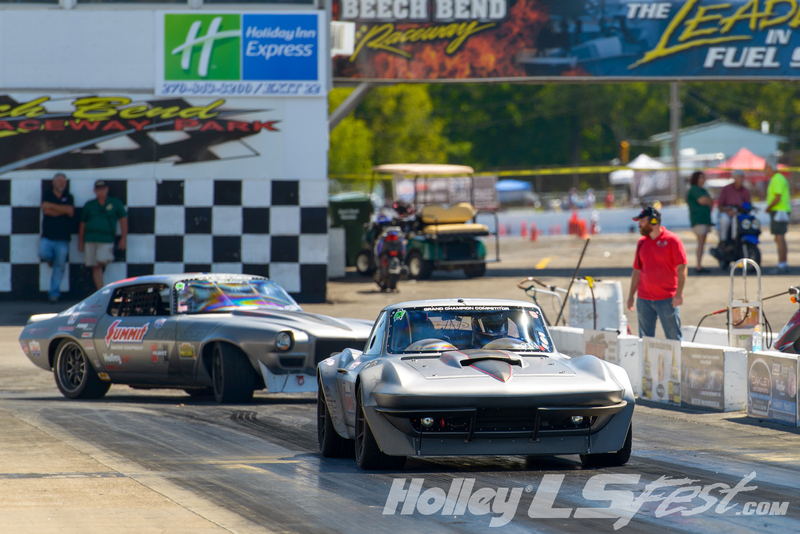 Contingency and points from the NMCA Chevrolet Performance Challenge Series apply. 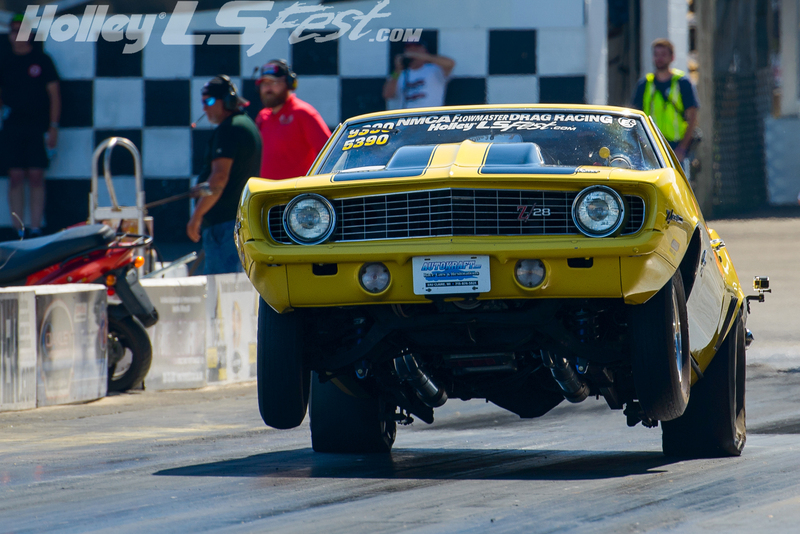 COPO Camaros come straight from GM with an LS engine ready to race! 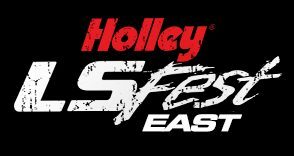 They also come with Holley EFI, Holley intakes and Earl’s coolers, so we wanted to add a COPO Camaro class to the Holley LS Fest! 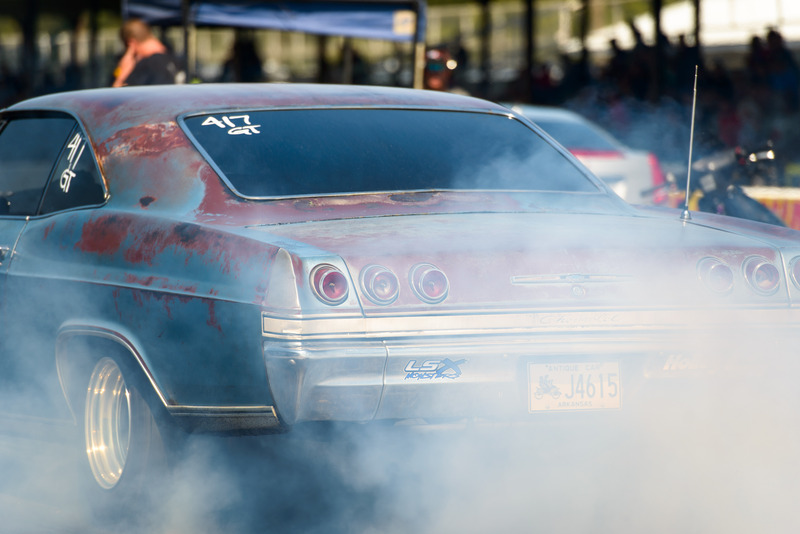 Bring yours or be in the stands to watch one of the baddest factory muscle cars of all times! We are introducing a grudge/test-n-tune class for LS Fest. This is a no payout class that is focused on keeping fun at a premium. This class is perfect for those who are looking for a fun-run style class just like they have at their home track. Team up against a friend or race against yourself and the clock. Perhaps your car wouldn’t be competitive in any other class. Maybe you’re learning to drive a newly developed setup. This class is ideal for any of those scenarios. The class will be run throughout the entire weekend and is only available to competitors that are not competing in another class during the event. The only exception would be for competitors that are running True Street on Saturday. These will be able to enjoy Test-N-Tune on Sunday. 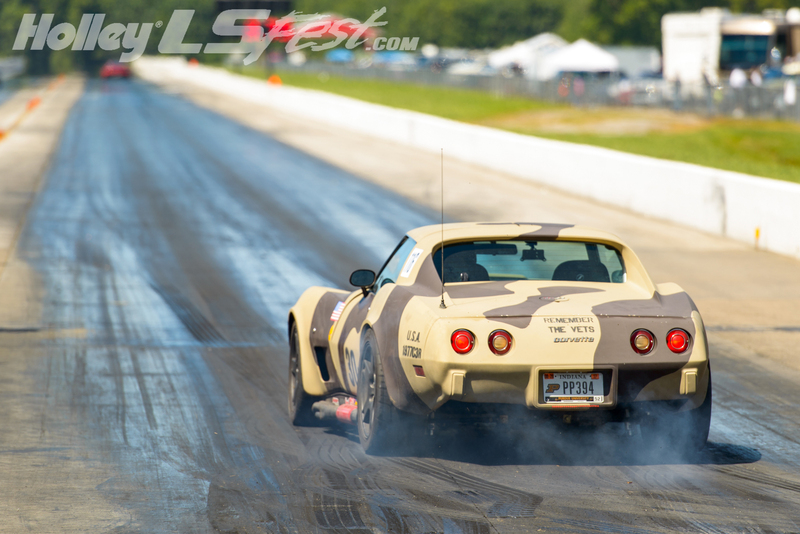 Class Rules: Other than having an LS or current gen LT engine, there are no class rules or limitations to this class. All NHRA safety regulations for speed DO APPLY. Late Model Heads-Up is one of the most exciting classes at LS Fest West. This class will feature the quickest LS, and Gen V LT powered cars in recent production. 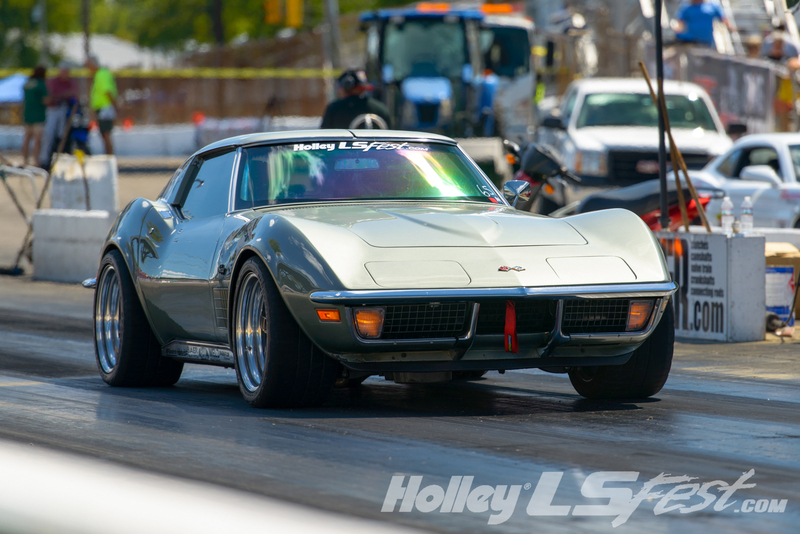 This class is meant to give Late Model owners a place to showcase their cars and builds. The rules are simple but effective. 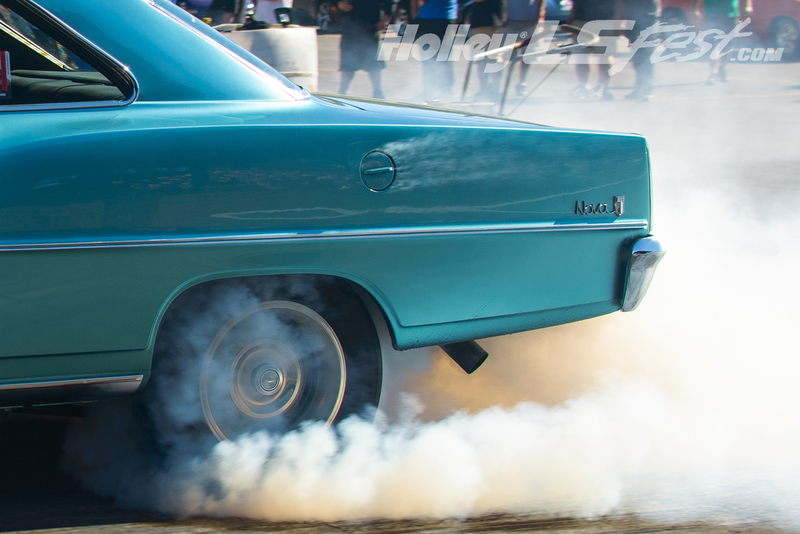 Entry must be 2008 and newer, and LS or Gen V LT powered, run on 15 inch or greater diameter wheel and 235 mm section width or greater DOT approved tire. This is an all run, qualified field with a touch of grudge action. The “qualifying sheet” will be used for two purposes. First, the bragging rights of being #1 Qualifier and second to determine a potential bye run, for first round of eliminations. A “PRO” style ladder will be used for eliminations until we are at 8 cars or less. From that point forward when called to the lanes, all remaining 8 contestants will draw a numbered chip and return to their vehicle. The contestant that draws the number one chip will have first choice as to who he or she would like to race. 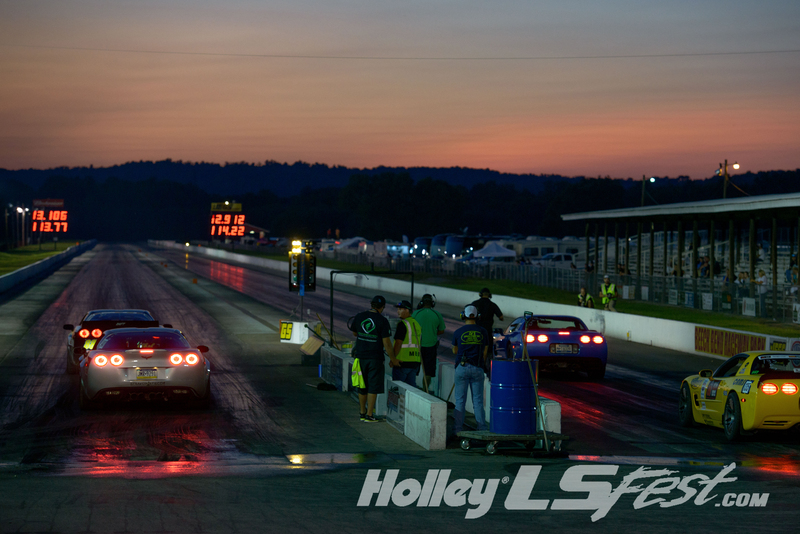 #1 can choose to race #2, and then #3 would have next choice until all contestants remaining have been chosen. Each corresponding round going forward would employ the same process. When called, report to staging lanes, draw chips, choose your competitor. This will make for some very exciting on and off-track action. Any vehicle , including all 5th Gen Camaro, C7 Corvette or any full bodied vehicle, powered by a GM LS style (or current generation LT) power plant permitted. Dragsters, Roadsters and Altered style cars prohibited. All races are on a .500 Pro Tree and in an index format. Indexes will be on .25 breaks and be from 8.00 – 10.75 second et. This will be an ALL RUN qualifying format. Rental cars prohibited. Vehicles are required to be stock appearing and stock bodied. 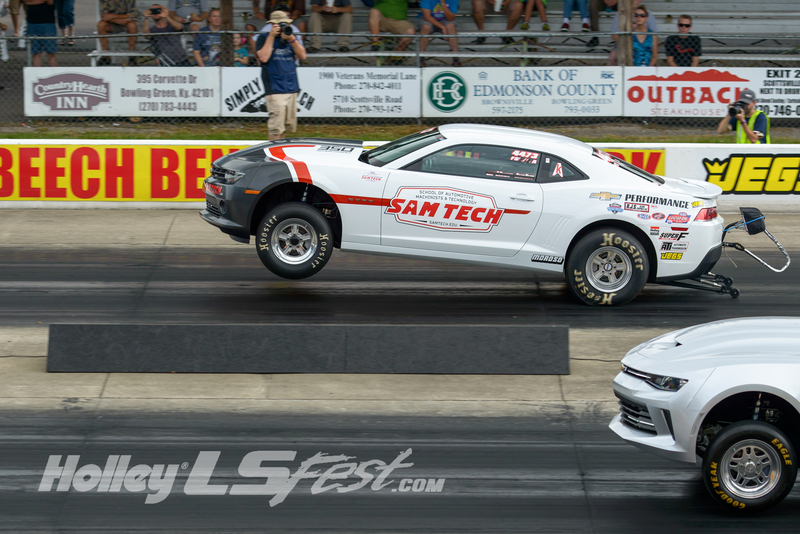 All vehicles MUST pass NHRA\IHRA safety inspection for ET and speed. Vehicles must be driven to staging and to scales, can be towed after scales. Trans brake permitted. Rumble and Street King participants receive True Street entry at no extra charge. CP Stock is a naturally aspirated heads-­‐up class designed for 1955 and newer GM (General Motors) bodied vehicles and is designed as a low cost, entry level heads-­‐up class. CP Stock is designed around competitors using a production OEM Sealed Chevrolet Performance DR525 crate engine combined with a factory Chevrolet Performance sealed ECM and installation kit. 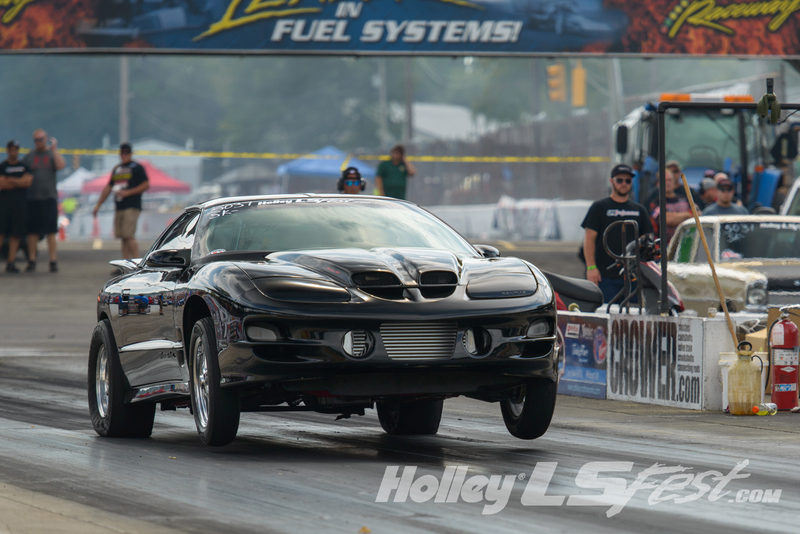 This helps control the ever rising expenses associated with competitive heads-­‐up drag racing and allows racers to explore other avenues to gain a performance advantage. All entries must compete on accepted suspension and at the same base weight. This is a single Power Adder Shootout class developed for LS powered GM Bodied cars or trucks. 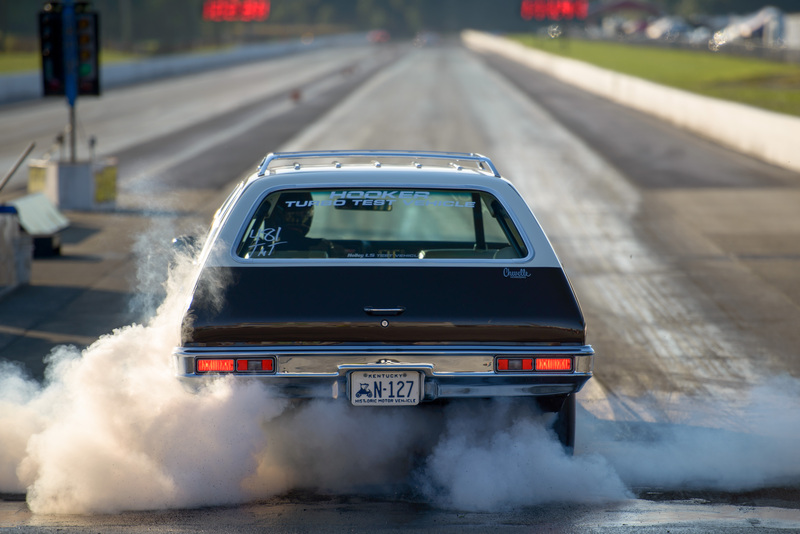 (Open Wheel or Roadster type Vehicles prohibited) All races are run to the 1/8 mile, on a .400 Pro Tree and in a heads up format, NHRA Pro Ladder, AutoStart. ALL RUN qualifying format. Any vehicle , including all 5th Gen. Camaro, C7 Corvette or any full bodied vehicle, powered by a GM LS style (or current generation LT) power plant permitted. Dragsters, Roadsters and Altered style cars prohibited. All races are on a .500 Pro Tree and in an index format. Indexes will be on .25 breaks and be from 11.00 – 15.00 second et. This will be an ALL RUN qualifying format. Rental cars prohibited. Vehicles are required to be stock appearing and stock bodied. 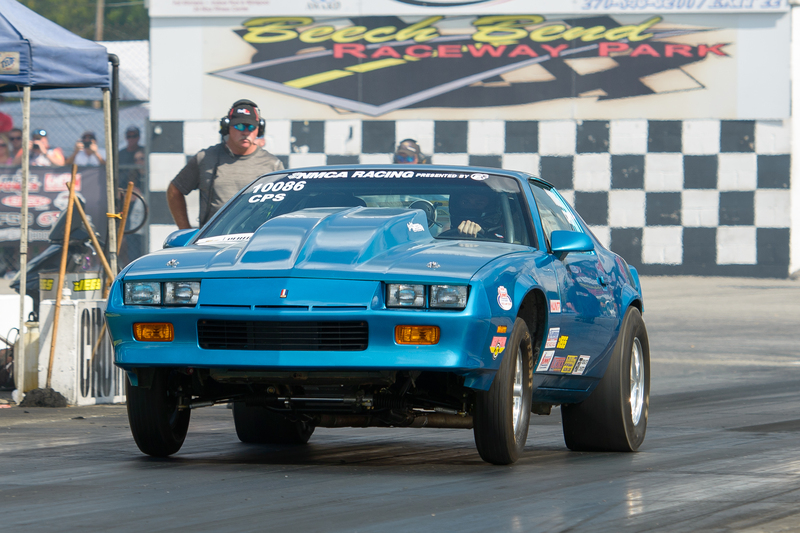 All vehicles MUST pass NHRA\IHRA safety inspection for ET and speed. Vehicles must be driven to staging and to scales, can be towed after scales. Trans brake prohibited. 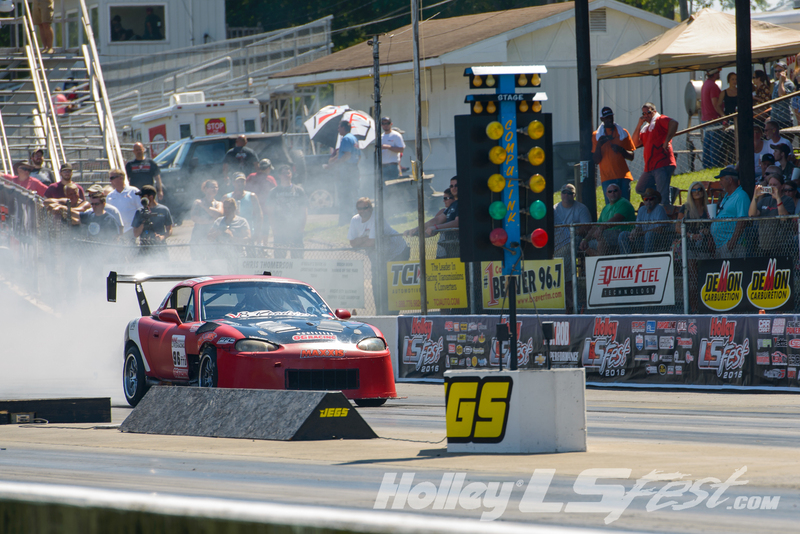 True Street is a heads up class designed for fast street cars. All entries will participate in a 30-mile cruise, and then head back to Beech Bend to make some passes down the racetrack. DOT-legal tires, working lights; horns and other street-oriented safety equipment will be required. All vehicles powered by a GM LS or current generation LT style power plant permitted. True Street only entries receive Grudge Test n Tune , free of charge, for the remainder of the event after True Street is completed on Saturday. 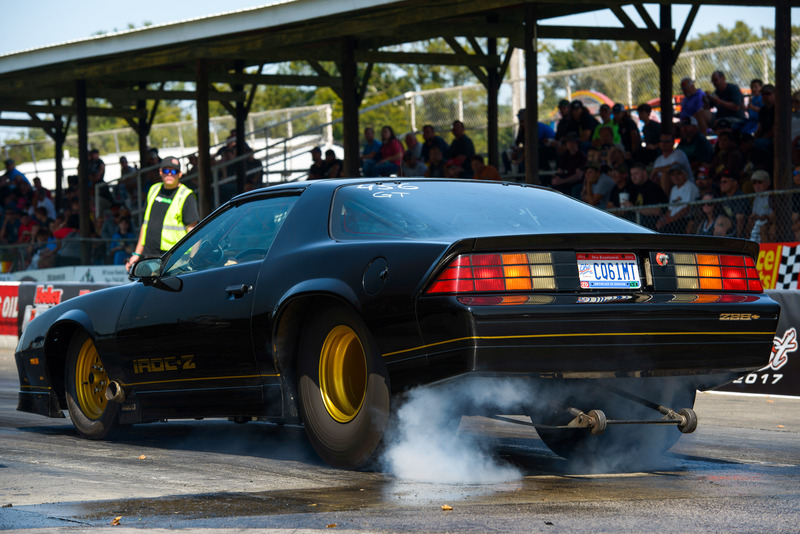 Stock Block Shootout will feature 1/8th mile heads-up racing where cars are required to have factory GM production engine blocks. No aftermarket, LSX, or Chevrolet Performance blocks are allowed. This class will be an excellent display of what these engines are really capable of on a relatively low budget! Cars will be limited to a 28/275 tire, no W’s allowed. 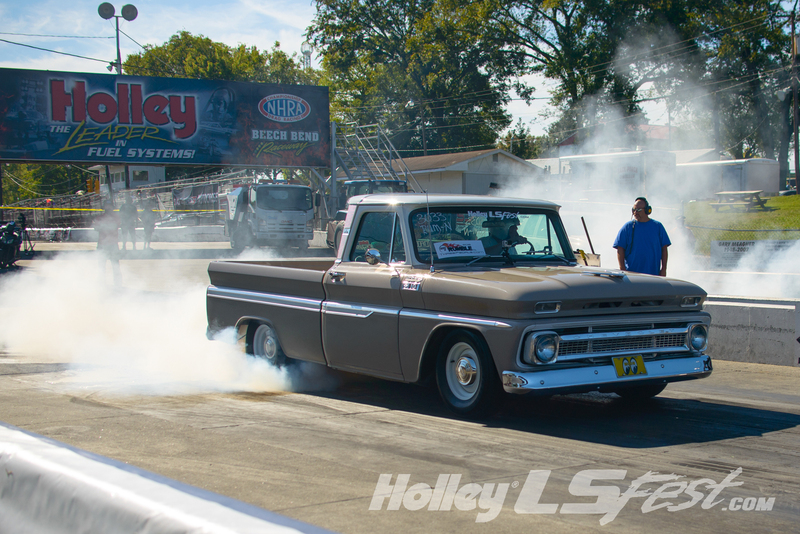 Door cars/trucks only, no dragsters or altered’s. Payout and Rules can be seen below. This is sure to be one of the most entertaining group of cars on the property! Like every other class at LS Fest, these cars must be LS or Gen V LT powered to compete and are also required to have a clutch assisted “H” pattern shifted transmission. Other than the transmission and clutch restrictions, this class is unlimited! All NHRA speed/time safety rules will apply.